Back at the end of November I entered Natalie's give-away to win three beautiful gold necklaces from Emily Elizabeth Jewelry. I was so ecstatic to open her blog a couple weeks later to discover I won! 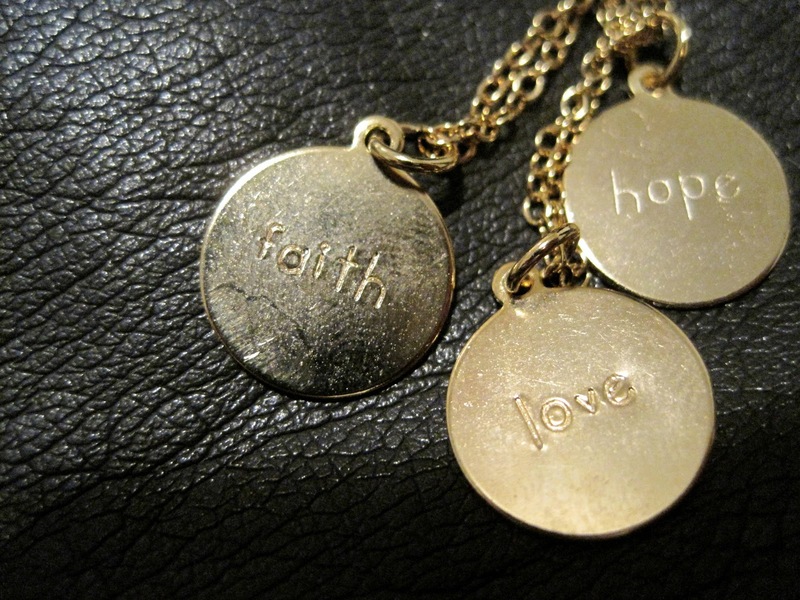 IMy package finally arrived yesterday and I tore it open to find the three beautiful necklaces you see above, inscribed with, 'Faith, Hope, Love'. 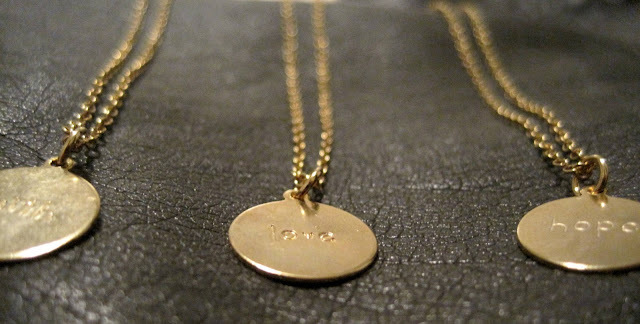 The necklaces can be worn separately or together cohesively. I will certainly be getting a ton of wear out of them so thank you so much Emily Elizabeth Jewelry and Natalie's Sentiments! OMG!!!! These are BEAUTIFUL!!! I love them!!! So pretty! what a great little prize to have won! Congrats A! What a lucky ducky you are! Those necklaces are gorgeous. :) I checked out her website and I had to refrain from purchasing everything I placed in my cart. hee hee.